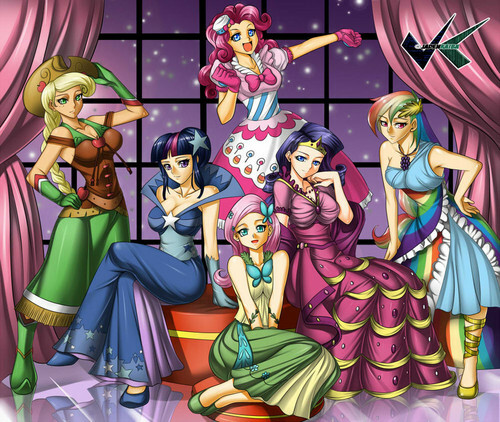 The Mane 6~ Gala Dresses~ Human Version. Who looks the best in their gown? (I didn't make this) Found it on DeviantArt. HD Wallpaper and background images in the My Little Poney club tagged: photo mlp fim twilight sparkle pinkie pie rarity rainbow dash applejack fluttershy.